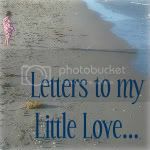 letters to my little love...: Fitting in extra "reading"
When I was younger, I used to be an avid reader. I loved curling up & reading a great book. I flew through as many as I could get my hands on. I still enjoy reading, but it's harder now. Between work, & running a home, & keeping up with an amazing little girl, it's hard for me to carve out time for reading- especially because at the end of the day sometimes my brain is too tired to do anything more than veg out in front of the TV. I travel a lot. While I listen to music & make a lot of phone calls to catch up with friends during my drive time, I've always wished I could be more productive. Audiobooks seem to be a great solution to this problem. Unfortunately, buying audiobooks can be wicked expensive, & even audiobook memberships fees can add up. In order to avoid spending, I've rented audiobooks from the library. They come with tons of discs that I can really only listen to when I'm in the car. Recently I discovered OverDrive. It's a free app that you can download on your smart phone. All you have to do is choose your local library & enter in your library card number. Then you have access to tons of audiobooks that can be downloaded onto your device for FREE! So far, I've listened to two of the Game of Thrones books, & I love it. I can listen to books in the car, while I'm doing housework, when I go for walks, & when I'm laying down to go to sleep. I love how easy it is to sneak in some "reading" throughout my day. There are some downsides to OverDrive. Just like when you typically rent books from the library, you can only take out what is available. I did have to join a wait list for both books I listened to so far (& am on the waiting list for the third), but my wait time was fairly short for both books. Plus if I look through the books that are currently available, I can take out tons of books that are available while I'm waiting for the book I've placed on hold. I've been so thrilled with my new find (did I mention it's free? ), that I've been telling everyone I know about it. One of our friends recently started using the app & taught me something that I hadn't even thought about. She listens to children's books with her daughter using the app. This past weekend, you & I looked at the available children's books. We started with Amelia Bedelia & Junie B Jones books. You love it. You would rather listen to your favorite books in the car than do anything else. Daddy, on the other hand, with our choices of literature (he thinks Amelia Bedelia & Junie B are obnoxious, but I told him that books about perfect children would be awfully boring). Lucky for him, there are so many classics available too. I think he'll enjoy listening to books like Matilda & The Lion the Witch and the Wardrobe while he's in the car with us. I'm so excited about the extra "reading" we'll be able to fit in thanks to this free (can you believe that it's free?!) app.